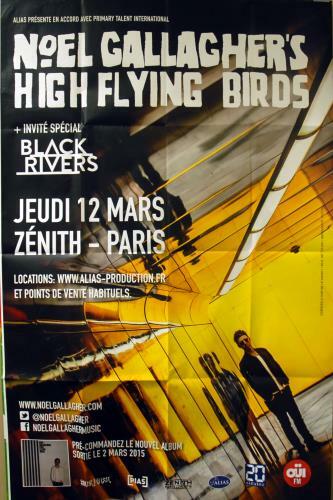 NOEL GALLAGHER'S HIGH FLYING BIRDS Le Zenith Paris 2015 (Fabulous and original Alias Productions 2015 French promotional only Metro Billboard poster for the concert held on Thursday 12th March 2015. Folded from new, this example never saw the Metro Station walls and remains free of rips, tears and any pinholes or glue. Perfect for framing and display).